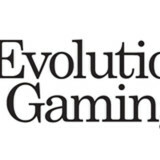 Evolution Gaming have published their interim report for January – September 2015. Press Release: 23rd October 2015. Revenues increased by 57% to EUR 19.5 million (12.4). Profit for the period amounted to EUR 5.8 million (3.3). Earnings per share amounted to EUR 0.16 (0.09). Adjusted EBITDA increased by 60% to EUR 7.8 million (4.9), corresponding to a margin of 40% (39). The mobile penetration amounted to 28% (12). Exclusive agreement with Genting Alderney. The third quarter showed continued favourable growth and profitability. EBITDA amounted to EUR 7.8 million, corresponding to a margin of 40%. As previously, growth mainly derives from existing customers, driven by the increasing strategic importance of the Live product among operators, as well as a strong increase in mobile gaming. Last year saw a break in the trend regarding seasonal variations, with reduced activity in the summer – this was confirmed this year and it is clear that mobile is the main driving force. During the quarter, 28% of the operators’ gaming revenues were generated via the Evolution platform for mobile units, and the absolute increase in mobile revenues was more than 260% compared to the corresponding quarter in 2014. During the quarter, costs rose somewhat more than previously, partly due to a higher recruitment rate and the fact that we have employed a number of highly qualified individuals within the company’s strategic focus areas. When recruiting, we always keep a return perspective and I have high expectations of these individuals’ future contribution to the business. During the quarter, we signed an agreement with the online casino division of the Genting Group, one of the world’s leading casino operators with, among other things, a considerable land-based presence in the United Kingdom. Although I already touched on this agreement in the previous interim report, it is worth repeating that we perceive exciting opportunities in exploring Genting’s strong brand, with several high end casinos and valuable online VIP players. Building strong loyalty between an operator and a VIP player requires a perfect Live experience, which is precisely what Evolution’s product can deliver. We have already taken a complete generic offering live and, in the next stage, we will also be launching a dedicated Genting environment at our studio in Riga. We also signed a deal with Microgaming, one of the foremost platform providers in the casino industry. Through the agreement, Evolution becomes the preferred Live Casino provider to all of Microgaming’s customers in Europe. One of the biggest, Betway, is already preparing a launch. The agreement confirms two things: The first is that the European Live Casino market is extremely complex. We have invested many years of effort in mastering it, and have built a product that stands out from the crowd. The other is that our strategic focus on regulated markets is paying off. Through our on-premise studio in Belgium, we have substantially raised barriers for other suppliers. In the quarter, we also signed agreements with and launched Live Casino at Adjarabet and Marathonbet. In addition to these, there are several smaller operators who all perceive opportunities to benefit from the strong growth in the segment. After the end of the quarter, we have signed deals with, among others, Gamesys and Casumo, and also the software provider BetConstruct which will offer our product to a selection of its customers. Apart from new launches, we continuously also see existing customers expanding their offering – as an example, PokerStars launched a dedicated environment for the Italian market in October. With its human interaction, Live clearly adds a new dimension to the digitised world of online casino. To date, 2015 has been a very successful year for Evolution and for the Live Casino market in general. We continue to work in accordance with our growth strategy, with a focus on delivering long-term shareholder value and with a perpetual mission to increase our lead on our competitors. Evolution Gaming are Europe’s premier Live Casino Operator and they offer Blackjack, Roulette, Baccarat, Casino Hold’em and 3 Card Poker live casino games. They are by far the most popular live casino supplier on Live Casino Comparer and this is mainly due to the quality of their games and the range of side bets they carry on most of the live card games. The most popular Evolution Gaming casinos can be found here.